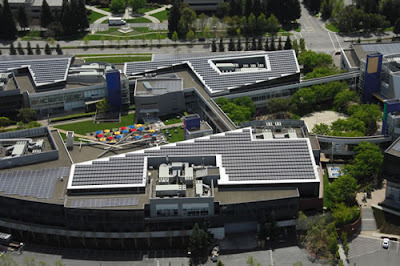 So far Google has installed approximately 8300 solar panels on roof tops of eight buildings and solar carports at headquarters office in Mountain View, CA. 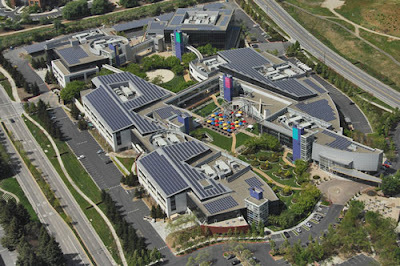 The installed solar panels are projected to generate 30% of Google's peak electricity demand. 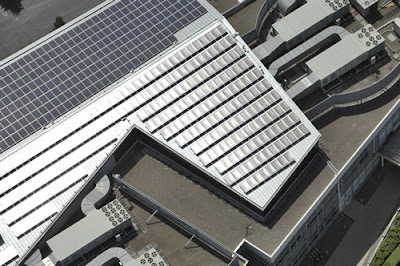 According to the data available at Google Solar Panels Project web site, 19,368 kilowatt-hours of energy is generated till today. 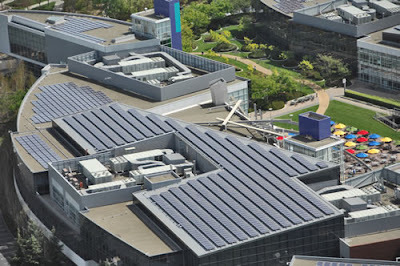 This solar plant is the largest solar installation on any corporate campus in the U.S., and it's one of the largest on any corporate site in the world. 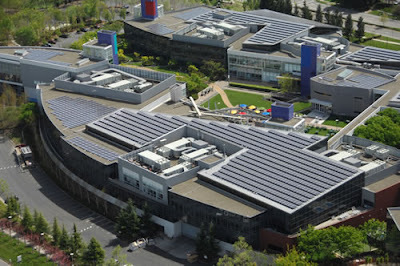 By building the largest solar power system ever installed at a single corporate campus, Google will save more than $393,000 annually in energy costs — or close to $15 million over the 30-year life span of its solar system. At this rate, the system will pay for itself in approximately 7.5 years. 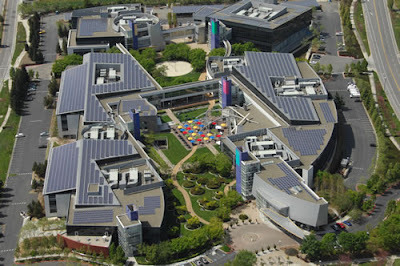 Visit Google Solar Panels Project to read more information. 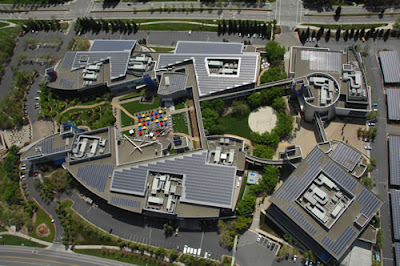 Wow, its about time to care for our mother nature, this solar panels are huge. thank you very much for sharing author.